Create a New Brand: When is it necessary? One of the key questions we often hear from our clients is: when is it necessary to create a new brand? Creating a new brand affects everything within your organization, including products to personnel, marketing and finance. 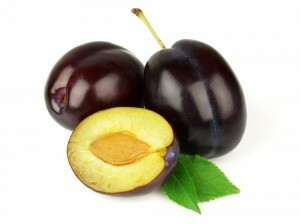 It also affects customer perceptions of your competitive promise. Creating a new brand is not always the best way to win over your customers. However, here are a few examples of historical cases where it made good sense to create a new brand. I took a pair of shoes in to be repaired today. 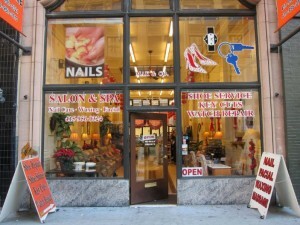 Around the corner from our San Francisco office there are two shoe repair stores. 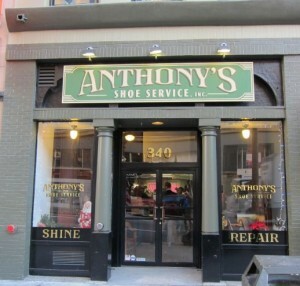 One of them, Anthony’s Shoe Service, is an old-school shoe repair shop that has been in business since 1926 – a dying breed in the city. Next door to it is Mak & Co – a relative upstart with one of our favorite signs in San Francisco. “Mak & Co: Shoe Service, Keys Cut, Watch Repair, Shoe Shine, Nails, Facial, Waxing, Massage.” Basically, any service you can cram into 650 square feet. The two stores illustrate two distinct brand challenges. Anthony’s has a clear identity and brand focus. 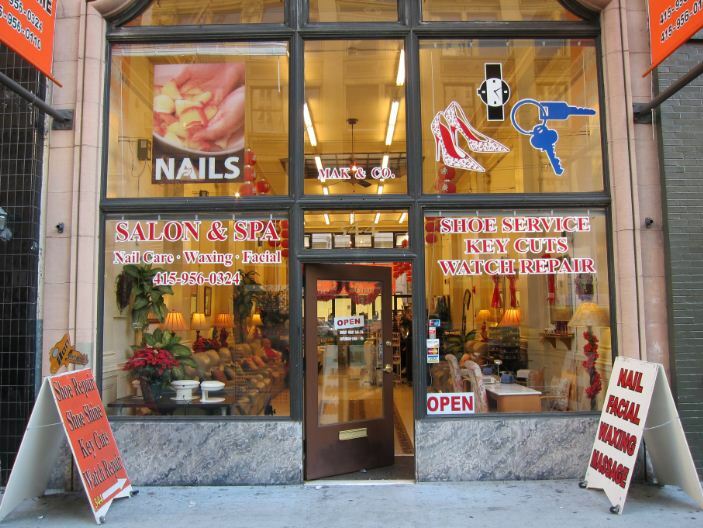 They offer a highly specialized service, have a loyal clientele, and will continue to repair shoes as long as their customers keep coming in. However, with a singular focus, they have limited alternatives for driving new business or growing revenue. Mak & Co, on the other hand, is highly entrepreneurial, offering a bewildering array of services with skills that may or may not transfer from one service to the next. As they add more and more services, they face the risk of confusing the market. Mak & Co. is an identity that doesn’t say anything. We recently helped a client faced with the same brand challenge as Mak & Co. Highly entrepreneurial; they had started as service company with a specific industry expertise in digital media buying. As their capabilities and client list grew, they added more and more individually branded services and proprietary technology tools that they could sell separately. Although revenues continued to grow, their growing sales and account team couldn’t clearly articulate what business they were in or how their offerings added up to a clear value proposition. By being so broad in their offering, they risked losing business to more specialized competitors. Our recommendation was to develop a new brand positioning that serves as a broad platform, appropriate to the multiple services and technologies they provide, yet establishing ownership of a specific expertise. It also gives them a clear direction for future growth. This new positioning has invigorated the company, clarified their business direction, and reassured their investors. Now, everyone in the company can clearly articulate what the business they’re in and why they matter to their most critical audiences. The moral of the story: A company with a clear brand positioning has a greater chance of gaining new business and retaining existing customers. Where did I go to get my shoes repaired? I went to Anthony’s. Through an excellent brand story, Shutterfly continues to help consumers navigate their own path to personal expression, providing much more than products; they provide the promise of personal creativity, expression and shared experiences. Since building and communicating their story through all they say and do, Shutterfly has been rewarded with double-digit growth year over year. It is a great example of how a clear, relevant story can help your brand elevate above others in the market.